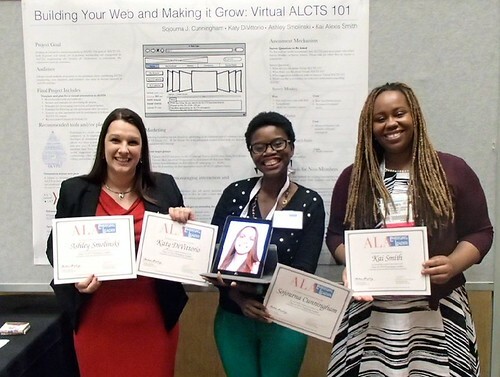 I was a part of the American Library Association’s 2014 Emerging Leaders class. My group worked for six months on a template for the Association for Library Collections & Technical Services (ALCTS). Our report is a compilation of recommendations for the creation of two types of virtual orientations: A webinar offered twice a year and an orientation which can be completed at your own pace within 90 days. 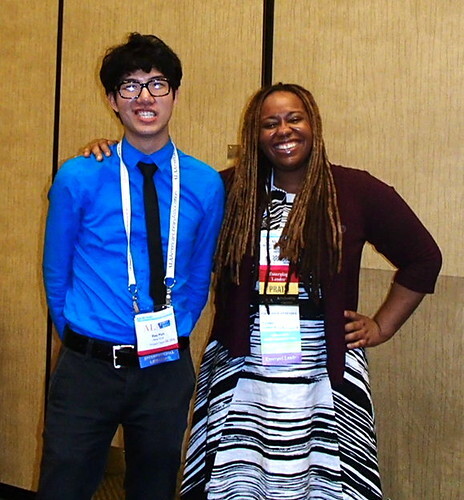 These orientations provide an opportunity for those who cannot physically attend ALCTS 101 at ALA’s midwinter and annual conferences to have access to the information in a virtual format. The goal of the virtual orientations is to encourage new membership and inspire further engagement for current members. They are not intended to replace the in-person ones. The report recommends components for the virtual orientations including Tools and Platforms, Avenues for Marketing, Strategies for Encouraging Participation, Assessment and Follow-up with Participants, and Next Steps. My main responsibility was to recommend and assess different technologies for the Tools and Platforms section. I suggested software as well as an outline to create the orientation at your own pace website. This involved doing a card sort with participating members to understand the ease of usability from the user perspective and to construct the information architecture of the website. For online card sorting and organization, I recommended OptimalSort and SimpleCardSort. After the architecture of the website is established, a wireframe mockup can be developed in myBalsamiq to visually organize the homepage and child pages. WordPress is the recommended platform for use to construct the website. Once the website is constructed in WordPress, a focus group would be needed to test the website to understand if it is intuitive to navigate. If there is feedback, changes should be incorporated. Regarding the Virtual 101 webinars given twice a year, I recommend Adobe Connect or GoToWebinar, and for video conferencing for smaller groups, Google Hangout, Skype, and Appear.in. There are a number of other recommendations for polls, surveys, video editing, sharing, image editing, and posters. Overall, I learned a lot about different kinds of leadership, new technologies, and built upon my skills of working with others. Our group did have its challenges as a few of us were interviewing for jobs and one had a baby towards the end of our project. However, it was a great way to gain more experience working with a group. I experienced working with groups in previous positions in different types of libraries including academic, government, museums and public. This is a crucial skill to learn. In my new position as Librarian-in-Residence at the University of Notre Dame, I work with others on committees and teams on a daily basis. I highly recommend students and early career librarians to apply for the Emerging Leaders program. Not only do you learn about leading from different positions, but also you make bonds that will last for the length of your career.